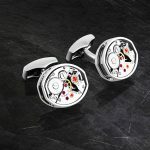 British born, Tateossian is a luxury handcrafted jewellery and accessories brand with a unique design ethos. 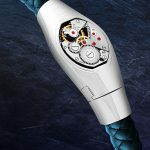 British born, Tateossian is a luxury handcrafted jewellery and accessories brand with a unique design ethos. The seasonal collections for both men and women have a distinctive signature, constantly reflecting and reinterpreting trends in fashion. Designs are contemporary, fashion forward and timeless – attracting a huge fan base. Tateossian already sells in over 71 countries around the world, with more than 1000 points of sale, in the most prestigious, fashionable boutiques and department stores – Tsum in Moscow, Harrods in London, Saks in New York and Isetan in Tokyo to name a few.